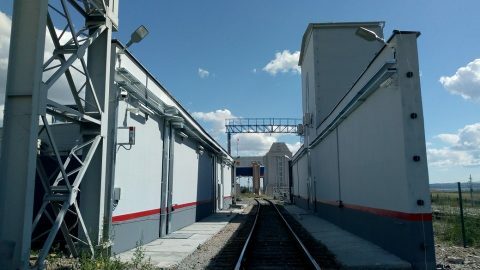 Russian state corporation Ruselectronics has installed the country’s first stationary custom inspection complex for freight railcars. 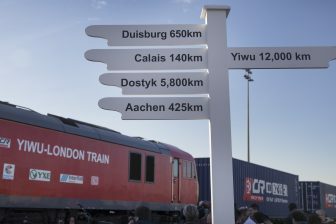 The new complex inspects the trains and containers on the Russian-Chinese border without stop, even when a train runs at a speed of 70 kilometres per hour. 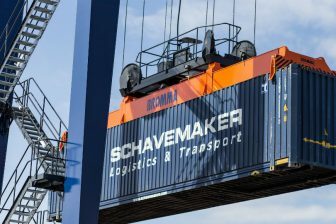 This will facilitate customs procedures and accelerate container traffic on New Silk Road. 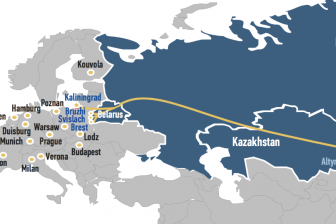 The facility is located on Zabaykalsk station, the largest railway checkpoint on the Russian-Chinese border, handling 50 per cent of freight traffic between the two countries. The installation of the customs inspection complex was accomplished at the end of 2018. Ruselectronics carried out some tests, but the facility is yet to be approved by Rosgranstroy, the government body specialised in the construction of border facilities. The customs inspection complex was developed by Scantronic Systems and Toriy Scientific Production Association (both part of Ruselectronics) as well as by experts of Electronic accelerators lab (a joint venture of Scantronic Systems and Moscow State University). The complex is dedicated to inspect freight and detect illegal goods, including explosives, drugs, arms and ammunition. The device is capable of recognising four types of materials: organic and non-organic items, heavy metals and light metals. It can detect them despite the density, placement and properties of materials. This feature distinguishes the device from its foreign analogues. The complex can also evaluate remotely the weight of the whole consignment or part of it with a margin of error not exceeding 10 per cent.